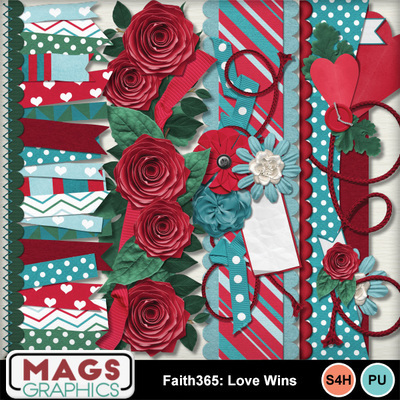 The February 2015 Collection for my FAITH365 Series reminds us that LOVE Never Gives Up, LOVE Never Fails, and LOVE WINS. Scrap your LOVE-LY photos and family with this inspiring collection. This is the BORDER PACK. Be sure to also pick up the Alpha, Main Kit, and Journal Cards - also available in the MM store.